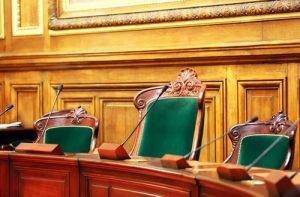 Probable cause hearings, also known as “show cause” hearings or magistrate hearings, are held to determine whether or not there is enough evidence to charge someone with a crime in district court. Most often, they are scheduled when misdemeanor charges are being sought against someone, either by law enforcement or a private party. If you have been sent a summons to appear for one of these events, you are actually in a better position than if you were summoned for an arraignment. It means you are not actually charged, yet. You do have the right to limited cross examination of whoever testifies against you. You should have a skilled cross examiner there to do that. You need a lawyer there to attempt to resolve the matter short of a criminal complaint even if there is enough evidence to charge you. If there is probable cause to charge you, Criminal Defense Attorney Thomas kokonowski will push the magistrate not issue the complaint if an alternate resolution can be agreed upon. When I was facing a Magistrate’s hearing and had never previously had the need for a defense attorney, I found myself scouring the internet for representation. I had only websites and reviews to go by, compared many local attorneys, and based on a number of factors ultimately decided to contact Criminal Defense Attorney Tom Kokonowski. A simple phone call where I was to admit that I was in need of an attorney was, for me, very unnerving but his staff was incredibly kind and nonjudgmental, answering any questions I had and setting me up a consultation with Tom. Tom was professional and informative and I found talking about my situation with him to be much less arduous than I had feared. Tom informatively laid everything out for me and covered the possible scenarios and outcomes. His insight and clarity helped me to leave the consultation feeling better than when I went in. At my hearing the Magistrate commented on my choice of representation, saying that I had “Chosen well” and that Tom was “One of the best” (Tom himself had told me this but hearing it from the Magistrate himself gave it a little more weight!). Tom presented a clear, professional, effective defense and in the end he gave me the best possible outcome by winning my hearing for me. He helped me through a scary learning experience, making it as painless as possible and I am relieved to have had him on my side. – R.D.